Hi everyone! 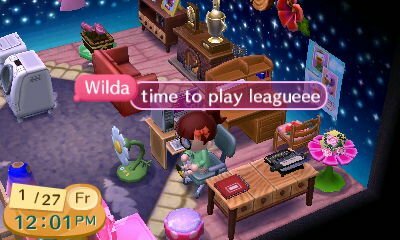 The other day I found out that one of the girls in our discord also plays animal crossing. Yay! so we decided to do down visits. It was fun! 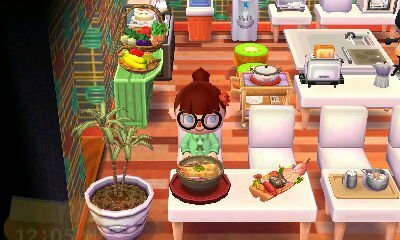 While she was happy to have someone to play ACNL with, I was too. 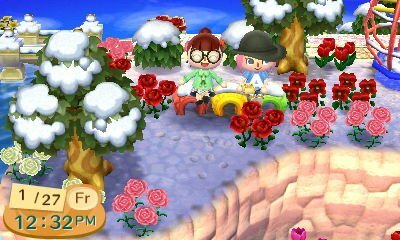 there’s not much to say but here are a few pictures of me visiting her town. She’s a time traveler! Very brave. I’m too scared to time travel because I just think it gets freaky and I personally like the real time play. It makes me look forward to things the next morning. My town does progresses very slowly though. I actually want to a second game so I can do a bell boom town. Maybe I’ll time travel on that one.. Just maybe haha.